This home offers a rare opportunity to live in the highly sought-after Corte Madera Commons in Sunnyvale. 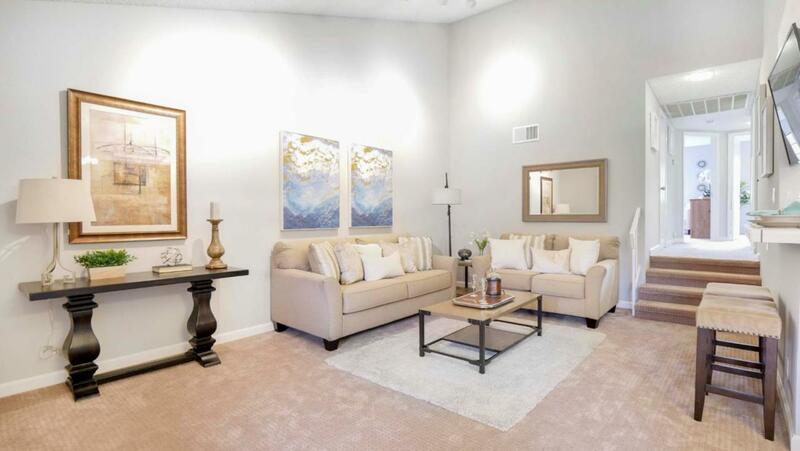 Conveniently located within walking distance to LinkedIn, Apple, Synopsys, and many other hi-tech companies, minutes from downtown Sunnyvale & Mountain View and their plethora of dining and shopping options, this home has it all. The condo boasts soaring cathedral ceilings and an abundance of natural light, fresh paint throughout, new carpets with ultra-cushiony padding for added comfort, LED lighting, and an in-unit washer and dryer. The kitchen features a brand new range/oven, touchless kitchen faucet, 4-stage reverse osmosis water filtration system, and plenty of storage. The bedrooms are spacious and bright with custom master and walk-in closets, and the 2-car tandem garage has room to spare. With a children's playground and a swimming pool in the complex, Corte Madera Commons is a great choice for anyone looking for both location and lifestyle. Listing courtesy of Alvaro Nevarez of Equity One Real Estate.